Apple today expanded its Personal Pickup in-store pickup service to France, Germany, Italy, Netherlands, Spain and Sweden. The launch of Personal Pickup in Germany was first noted by Macerkopf, and MacRumors subsequently confirmed the wider European expansion of the service. Personal Pickup allows customers to place an order on the Apple Online Store or Apple Store app and pick it up at a nearby Apple Retail Store, generally within an hour. The service is offered for several Apple products, including Macs, iPhones, iPads, Apple TVs and the Apple Watch. Apple notifies customers via email or text message when an order is available for in-store pickup with a valid photo ID. Personal Pickup launched in the U.S. in 2011, but was unavailable elsewhere until last month. The service first expanded to Australia and Canada on November 17 before going live in the United Kingdom three days later. 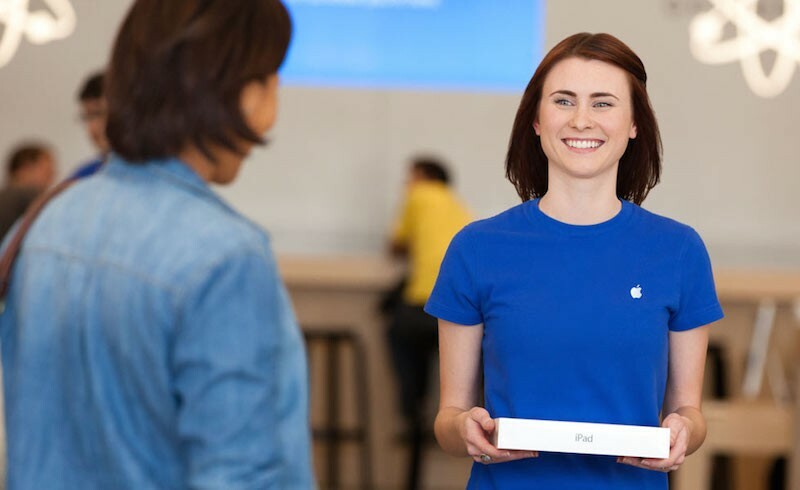 Personal Pickup has yet to launch in other countries and regions with an Apple retail store presence, including Belgium, Brazil, China, Hong Kong, Japan, Switzerland, Turkey and the United Arab Emirates. MacRumors broke the news in early November that Apple was planning an international expansion of Personal Pickup in Australia, France, United Kingdom and other countries, and the service is now live in all of those countries. She's smiling, ffs And I'm sure every one of this board is the prettiest human being ever. That woman must have some serious frequent flyer points by now. Pretty useless for the majority of Germans since there are only about 10 cities, where we actually have an Apple Store. And every in-stock Apple product is at your door within 24 hours if you place your order before noon.